Attach a Mini Stick Anywhere Light anywhere, including hallways, stairways, steps, bathrooms, bedrooms, closets, shelves and more. 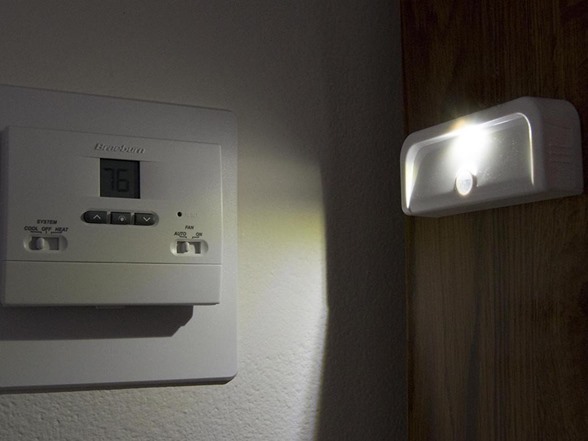 The convenient battery-powered LED night light offers easy installation without wiring in less than 5 minutes to instantly increase safety and convenience around your home. 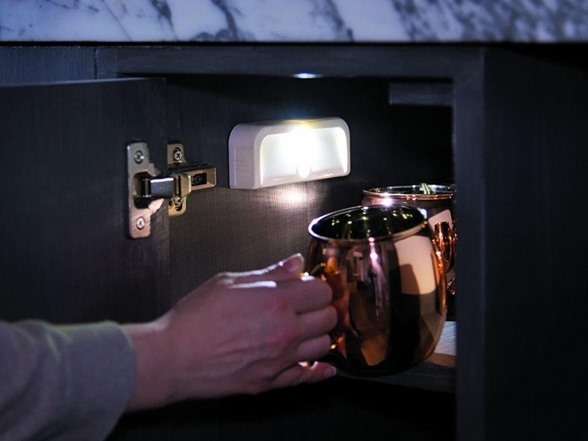 The automatic LED night light’s bright 15-lumen output that covers 10 square feet adds safety and convenience around the home. The housing design focuses the light beam downward, making it ideal for steps, shelves and hallways. 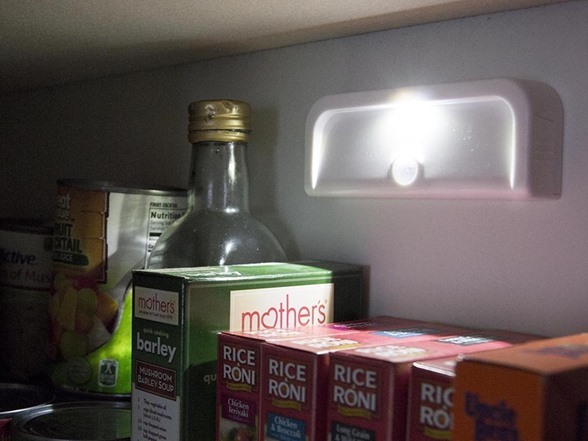 The motion-sensing night light activates when it detects motion from 10 feet away and automatically shuts off after 20 seconds of no motion to conserve battery life. Expect about 1 year of light on each set of batteries with average use of 8-10 activation a day. 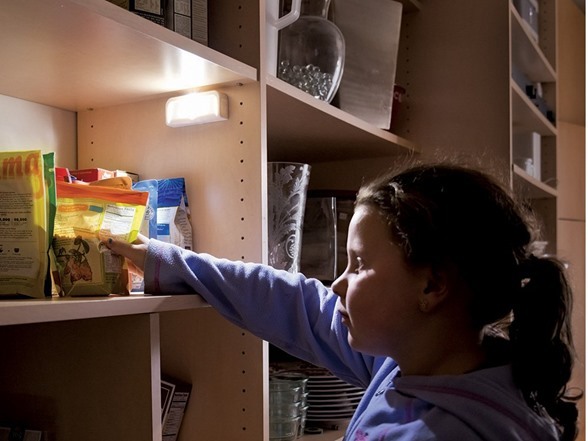 Install the battery-powered night light nearly anywhere to added convenience around the home, including hallways, stairways, bedrooms, closets, cupboards and shelves. Simply insert batteries and mount to the desired location with the included mounting hardware or double-sided adhesive. 15 lumens of bright light per unit for hallways and stairways. Get 1 year of light on each set of batteries with average use of 8-10 activation a day. Bright LED light with minimum power consumption. Each LED nightlight runs on 4-AAA batteries (not included). 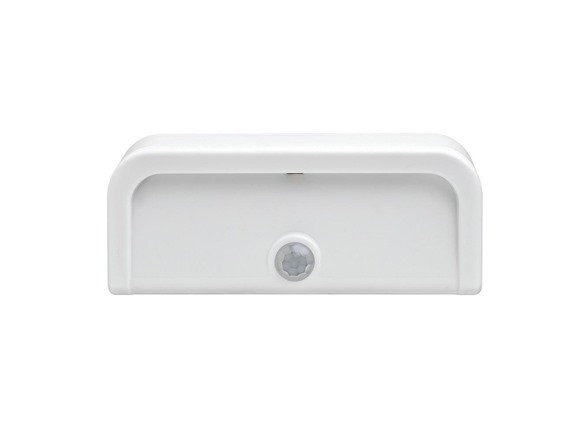 Motion sensor turns LED-light on and off automatically only when motion is detected. Activates only during darkness to conserve energy. 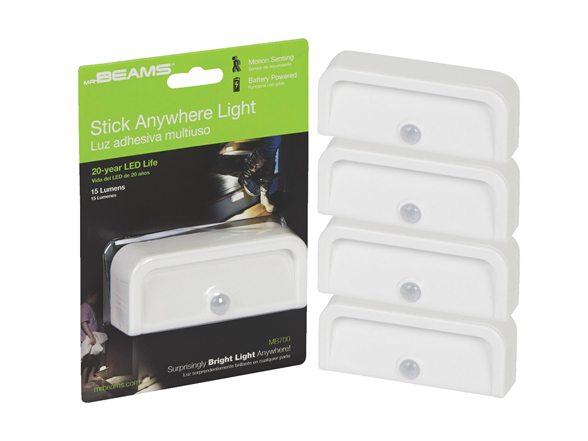 Wireless stick anywhere LED light with 15 lumens. Includes built-in light sensor to conserve battery life. 20 seconds of light per activation. 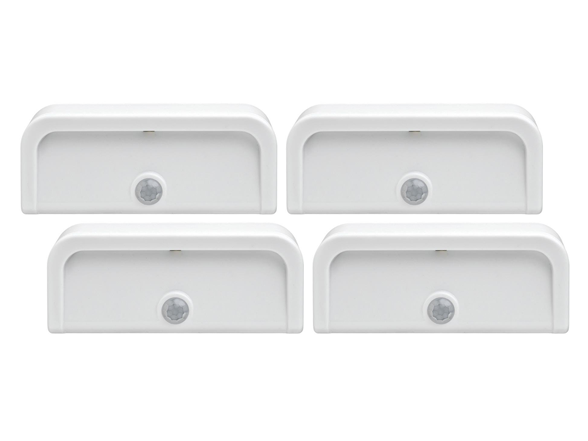 Motion detection at up to 10 feet. Simple wireless installation in minutes. 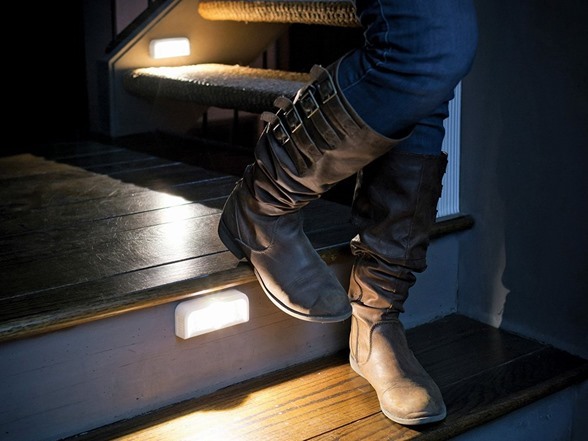 Perfect as an LED night light, stair light, path light, or step light. 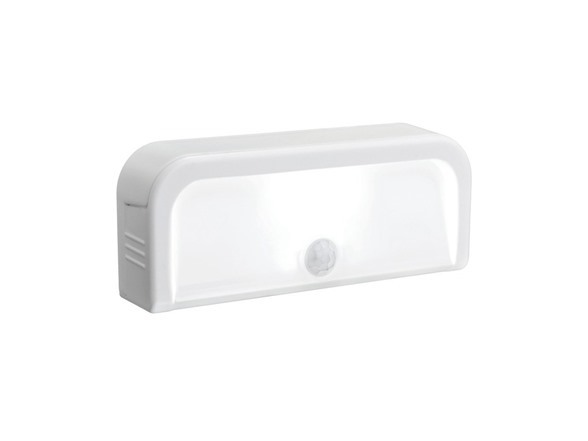 Compact motion sensor LED light. Sticks easily to walls, in bathrooms, and on staircases using included double sided tape or screws.